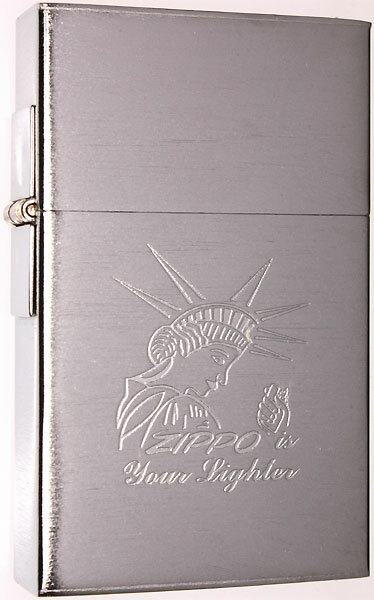 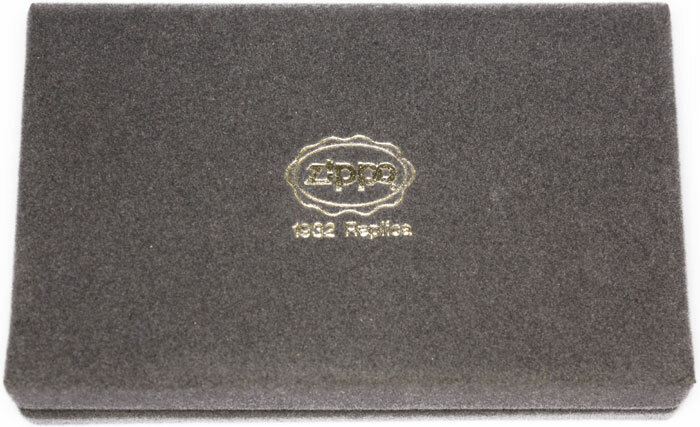 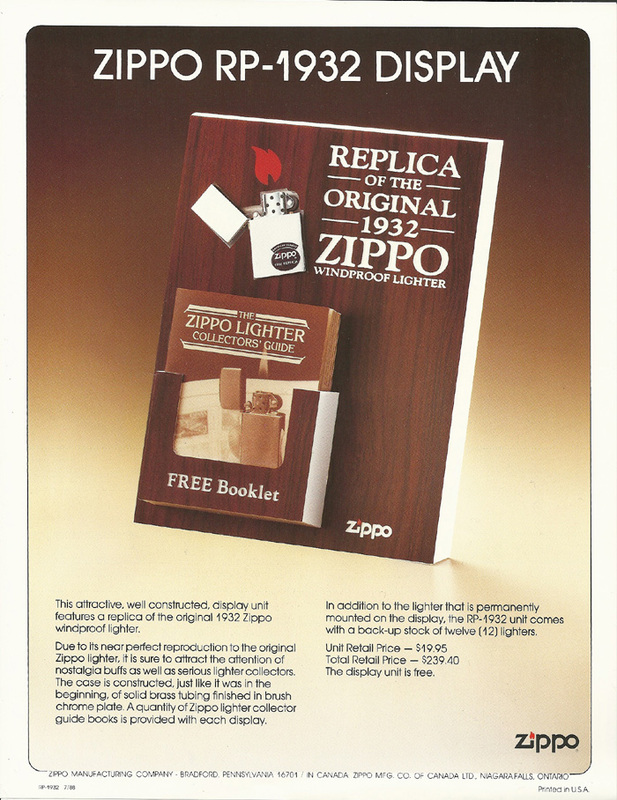 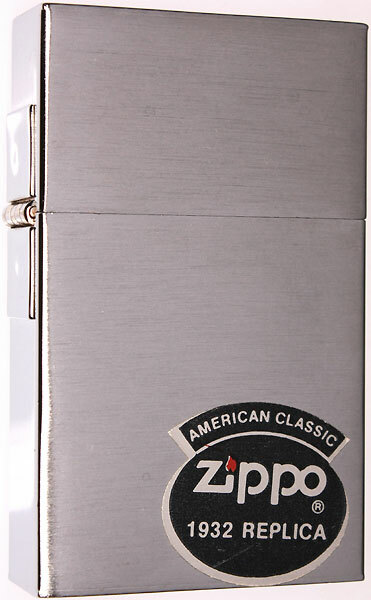 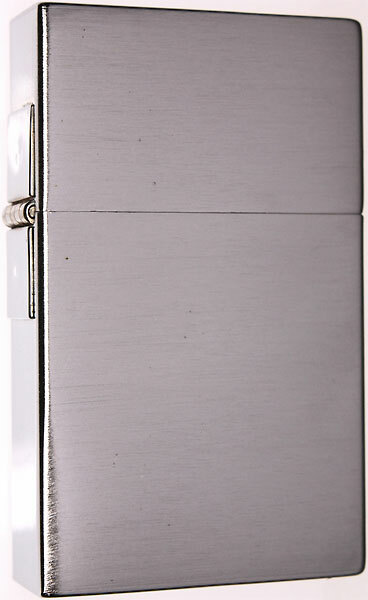 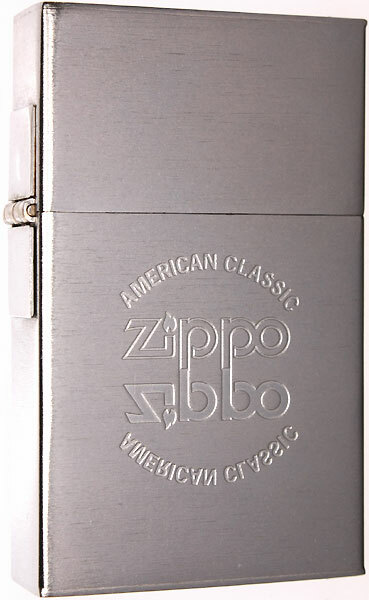 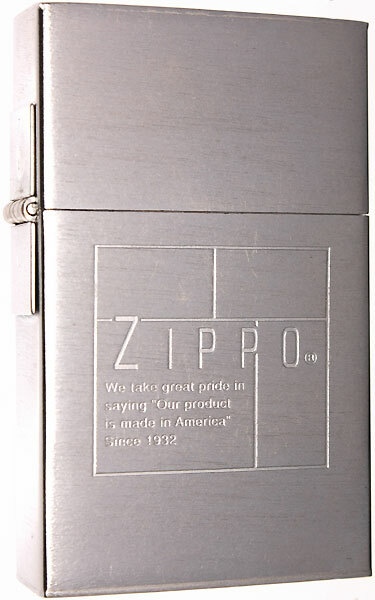 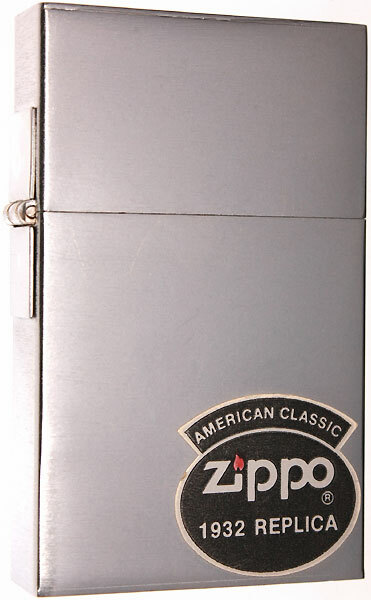 The production of the "ORIGINAL 1932 REPLICA" started in early 1988 & ended in mid 1992.
they did not fit the equipment for the current Zippo lighters. 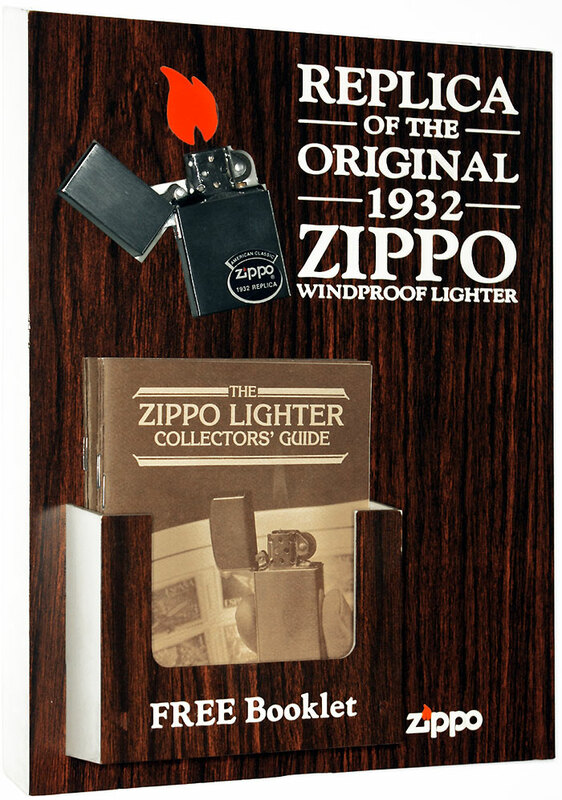 NEW ORIGINAL 1932 REPLICA RP-1932 display unit with mounted Zippo & booklets. 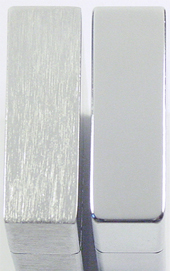 NEW The reflection from the display mirrors on the high polish chrome surface. 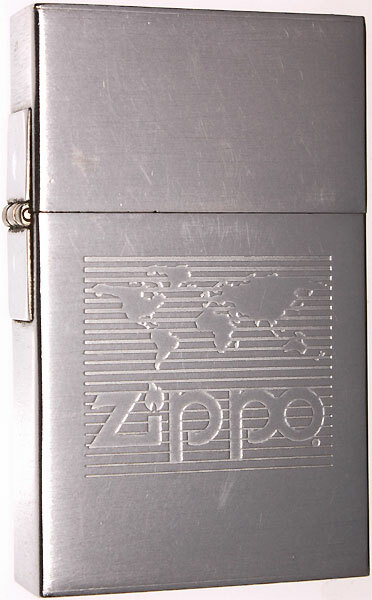 came with this tiny sticker on front. 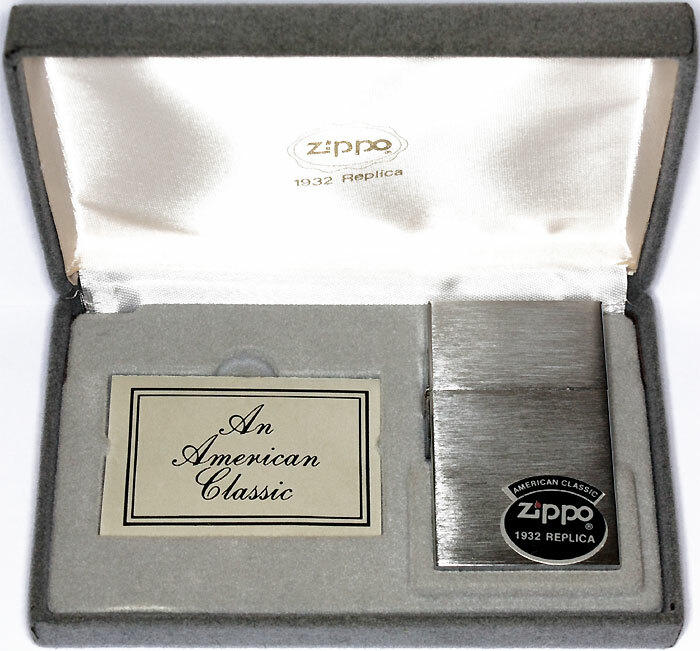 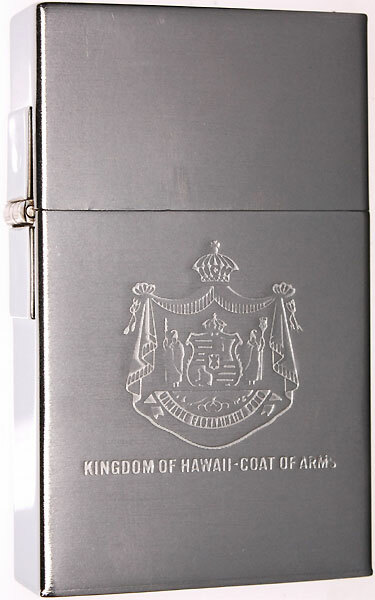 As known since 1997 that Georg Grant Blaisdell founded the Zippo Manufacturing Company in 1932 but the production & the sale started one year later in 1933 these Original 1932 Replicas soon became high valued items among collectors. 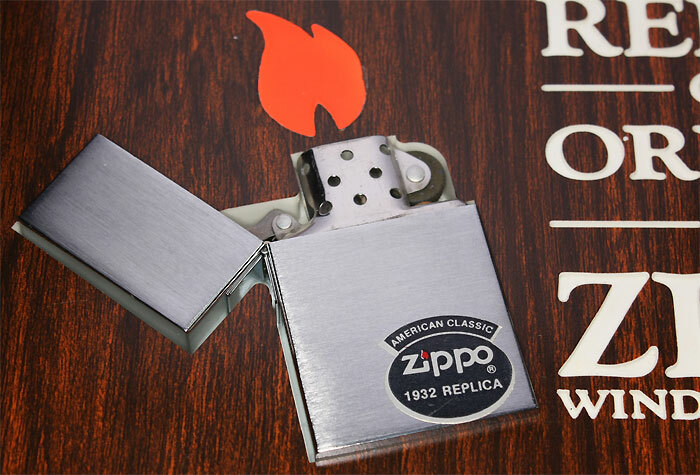 As the 1932 Replicas were produced by hand, some finish & detail differences can be noticed by taking a closer look, comparing the first year's production run from 1988 to the ones from 1989 throung 1992. 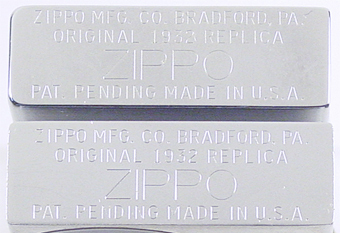 The very first 1932 Replicas produced in 1988 do not only have a high polished lid top and bottom but also high polished sides as shown in the following detail pics. 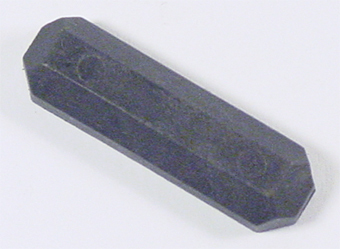 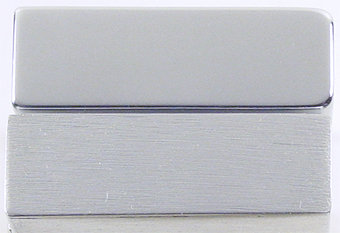 the produciton from 1988 to 1992.
in 1988 have slightly rounded corners. 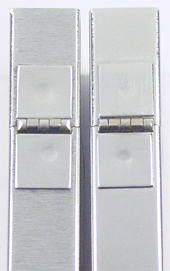 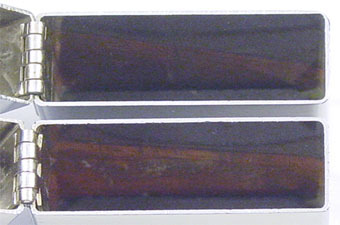 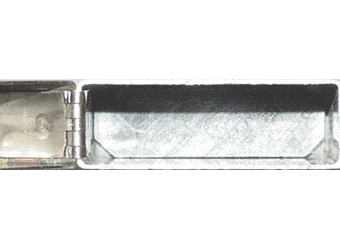 When the five barrel hinges were absolutely straight in 1988, their look was changed in 1989 to being pitched on the outer ends as shown above in the right pic (1989 - 1992 left - 1988 right). 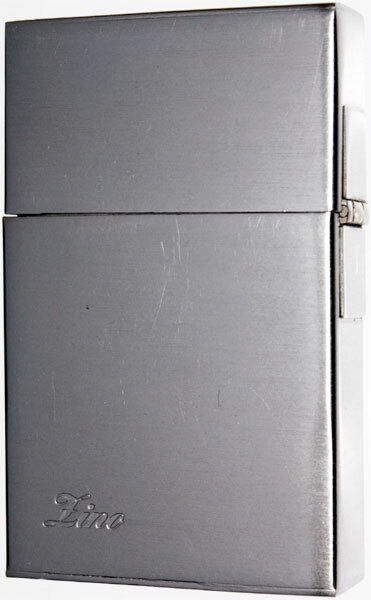 too by loosing some material. 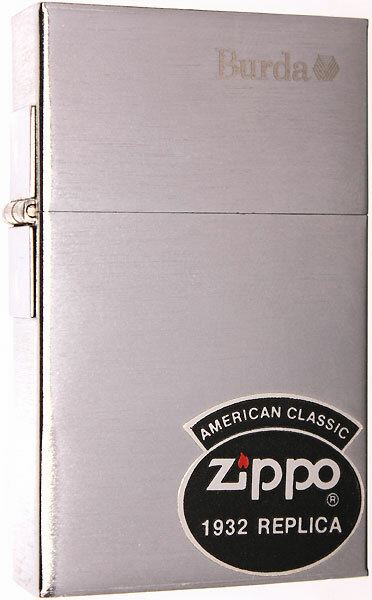 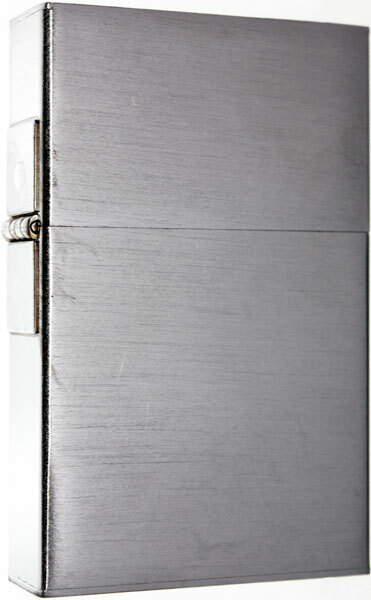 The reflection of the Zippo logo from the grey velvet case mirrors on the high polish chrome surface right beneath the five barrel hinge. 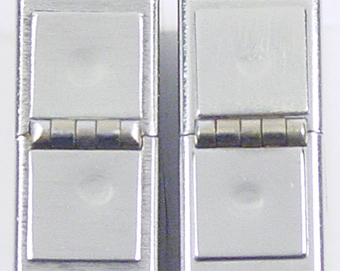 1933 first release (1998 through 2001) have a modified bottom part to make the insert fit perfectly. 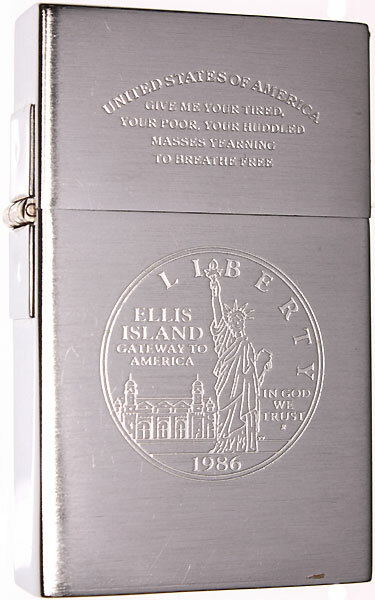 "The New Colossus" is a sonnet by Emma Lazarus (1849–1887), written in 1883 &, in 1903, engraved on a bronze plaque & mounted inside the lower level of the pedestal of the Statue of Liberty on Ellis Island, New York. 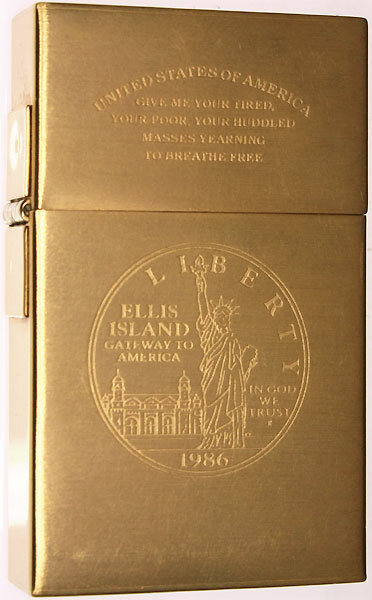 her that the Statue would be of great significance to immigrants sailing into the harbor of New York. 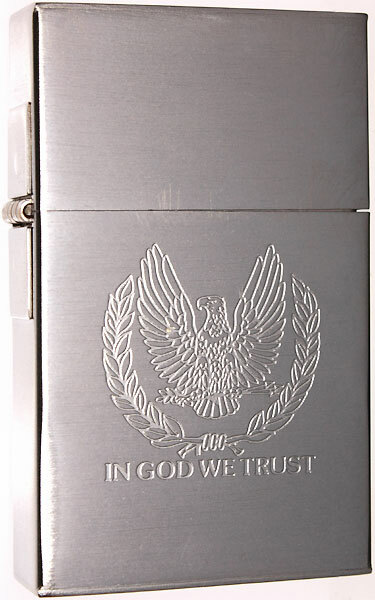 stand behind it 100% and success will follow." 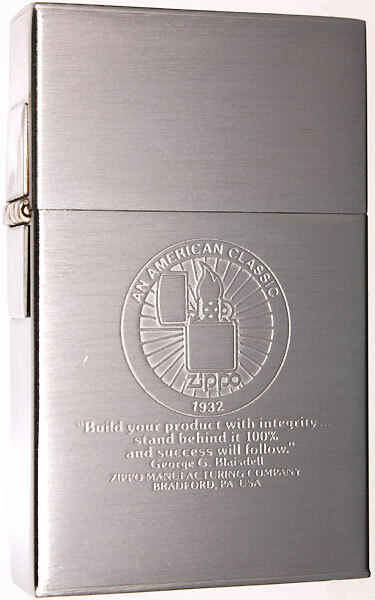 "Our product is made in America"
Davidoff is a Swiss luxury tobacco goods brand name, which is carried by a range of products including cigars, cigarettes & pipe tobaccos. 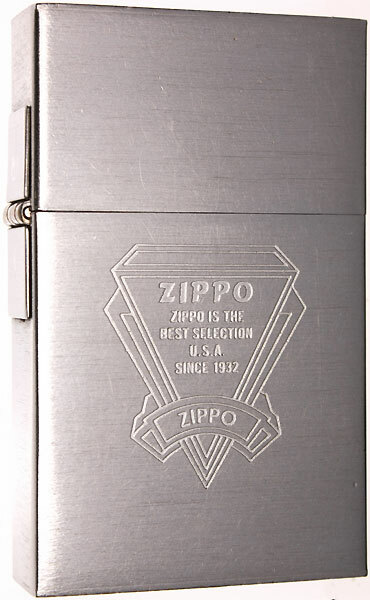 Its cigarette brand is currently owned by Imperial Tobacco but the company is otherwise independently owned by Zino Davidoff.